In collaboration with Tidal, Lil Yachty has released a new episode of DNA. 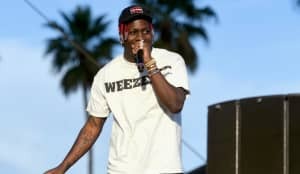 Lil Boat discusses his decision to be sober boiling down to the fact that he just really likes being in the studio. Whether he's recording or not, it's where he wants to be. "It's like my second home," he says. He also gets into his decision to drop out of school and how people thought he was "crazy and stupid." Once he was able to provide for himself, no one questioned his choice to pursue music. In regards to the music he's creating, he's all about good times. "I still feel like the same kid. I make music about stuff teens go through. It's just fun."